OmZone Maui 5th Annual Whale Drum Cruise. 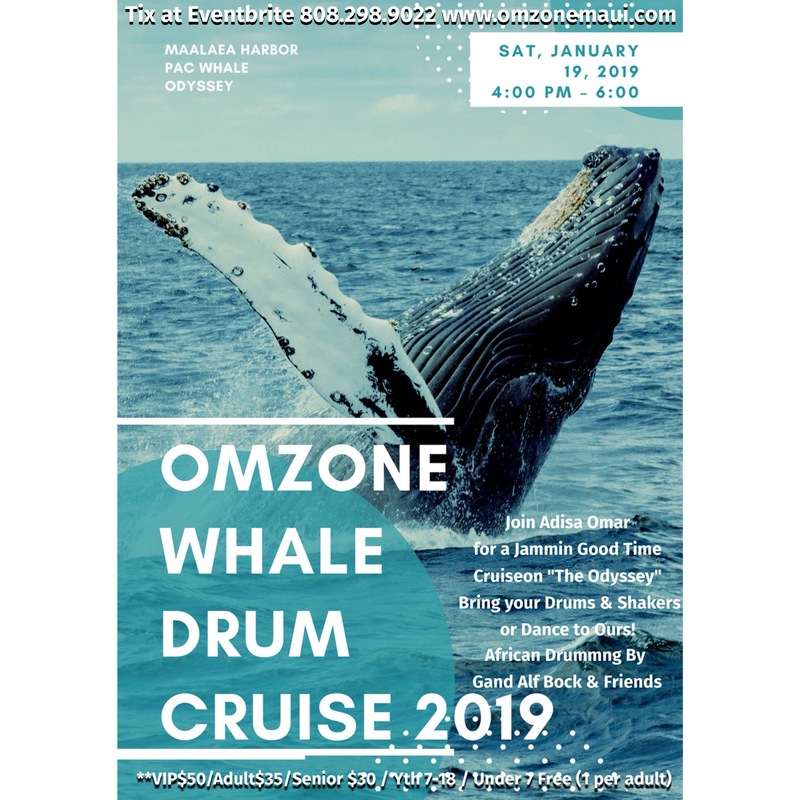 Our 5th Annual OmZone Whale Watch Drum Cruise 2019! This High Vibration Journey has African Drums, Dancing, Capricorn and Aquarius Birthday Celebration, Our Beautiful Maui Ohana, Libations, Spectacular Sunset & of course the Graceful Whales. 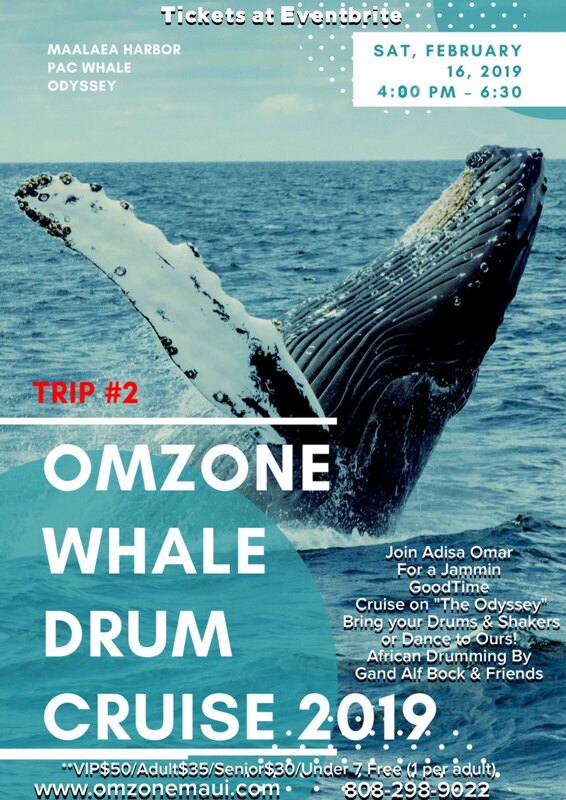 Join Adisa Omar for a Jammin Good Time Cruise on “The Odyssey” Bring your Drums & Shakers or Dance to Ours! Capricorn And Aquarius Birthday Cake Celebration! Get your tickets NOW, this event sells out! We’ve got Lin Ching Chong from China, Long Tall Sally from Carolina, we’ve got OO7 The Private Eye and he’s bringing all his friends from iSpy. Come one come all, we’re gonna have a ball down at the function at the junction! 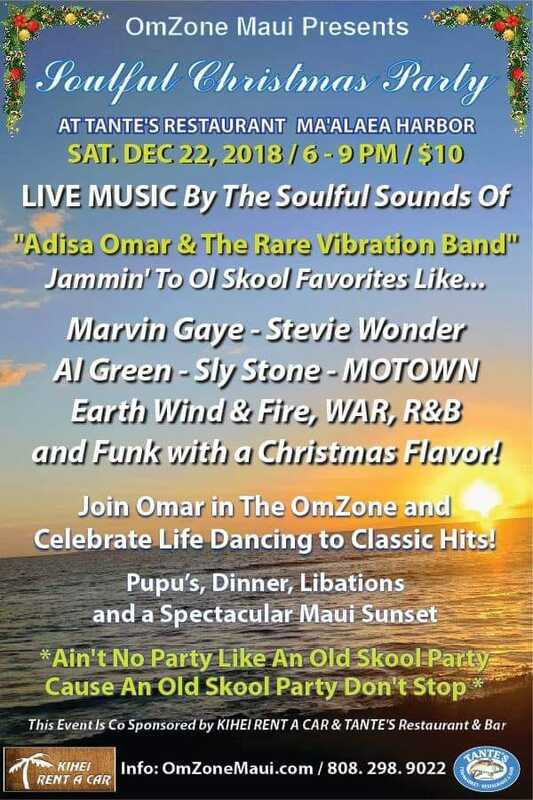 Aloha my friends, this is Omar and we’re gearing up for a really good time on Sat Dec. 22, 2018. The OmZone is back in the swing and ready to raise the roof at Tante’s new restaurant at Maalaea Harbor. I promise to fill the evening with sounds from groovy mellow tunes to high energy jammin funky jams. Good Food – Good People – Good Music – Good Libations = A Funky Good Time! Oh yeah, you betta watch out cause Santa will be dropping by to check your notty level.